Welcome To Farm Equipment 24-7! View Our Full Line! View Our Full Line! Call Our “In House Experts” For Application Information! Quality & Features for Turf & Agriculture Applications for Professional Results. Unparalleled Quality & Features with a Broad Range of Options makes Valentini Products Suitable For Any Application. Largest Selection of Quality Attachments for Todays Fellers, Farmers, Contractors, Viticulture Applications & Agricultural Applications. First-Class Packaging Professional Packaging & Palletizing! We want your product to reach you in the same condition it left us in. So, we build our pallets to endure rigorous transportation & use only professional strapping & packaging to protect and secure the load. We have a 99.99% customer satisfaction rating for equipment delivered early, on-time and in excellent condition. Watch The Grasshopper Peruzzo Flail Mower In Action! Fence Row Trimmer/Mower, Tree Row Trimming, Peruzzo Side Cutter: TELESCOPES 24": Heavy Duty & Professional Series w/Self Contained Hyd System! Heavy Duty Professional Series: Peruzzo 3-Point Rotary Side Trim Rotary Mower: Hydraulically Telescopes to 24"! Skid Steer Flail Mower: Peruzzo SS190, 75" DIRECT DRIVE Cut To 3" Dia, 16-25GPM's: Excellent Finish & Rough Cut - SS Mower That Performs! Peruzzo SS190 Skid Steer Flail Mower For 16 to 25GPM Standard Flow Hydraulic Systems. Bradco Severe Duty 72" Skid Steer Quick Attach Pallet Forks. Valentini U3000 10'-2" 3-Pt, PTO Heavy Duty Rotary Tiller w/Mesh Roller: 170HP Gearbox! 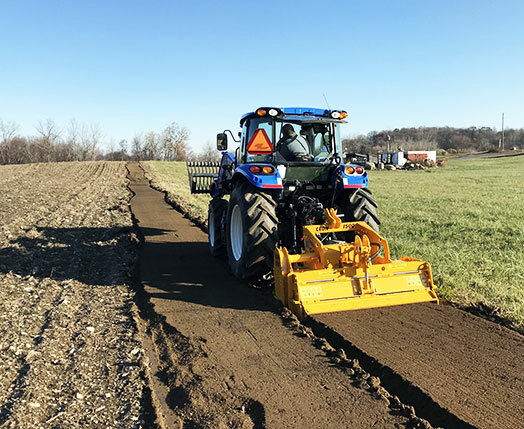 Heavy Duty Professional Series, Valentini U3000, 10'-2" Cat 2, 3-Point Mounted, PTO Powered Rotary Tiller with Mesh Roller. 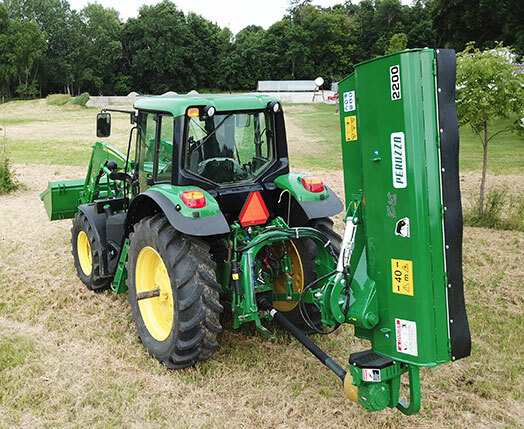 Flail Side Trim Ditch Bank, Verge Mower: Peruzzo Elk Cross 1600, 60"Cut, 45-60HP: Excellent U.S. Parts & Tech Support w/European Quality! 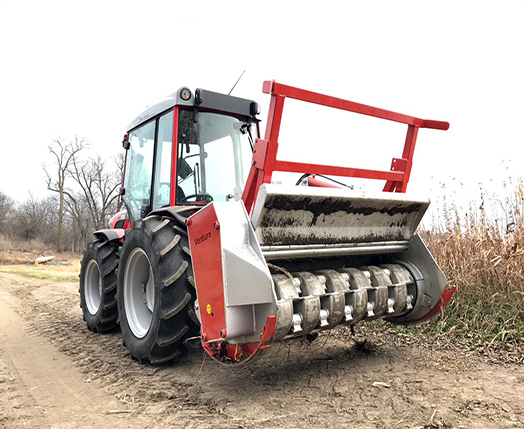 Heavy Duty Professional Series: Peruzzo Elk Cross Model 1600, 60" Cut, 3-Point Ditch Bank Mower, Mulcher with Flail Type Mower Head & Hydraulic Offset & Tilt! Professional Series: Peruzzo Fox Cross Model 1600, 60" Cut, 3-Point Ditch Bank Mower, Mulcher with Flail Type Mower Head & Hydraulic Offset & Tilt! LT3200 Dougherty Tractor 3-Point, PTO Powered TURBO SAW with Push Bar. Excavator Flail Mower, Shredder, Brush Mulcher: Ventura 32" TFC80, 8-15GPM, to 2"! Ventura TFC80, 32" Excavator Flail Mower, Shredder, Mulcher! Farm King 84" Pull Type Snow Blower: Hydraulic Chute, Rear Pull Back Scraper - BEST BUY! 84" Farm King PT840 PULL TYPE Snow Blower with Hydraulic Chute Rotation & Rear Pull Back Scraper Blade. Valentini TG1800 73" Power Harrow & Mesh Roller, 50-100HP: Best Specifications & Features! Heavy Duty Professional Series: Valentini Tiger 1800, 73" 3-Point Mounted, PTO Powered Power Harrow & Mesh Roller. Valentini 73" Stone, Vegetation, Single Pass Rock Management, Seed Bed/Soil Prep, Residue Burier-Inverter: Bury Solids - Leave Dirt! Heavy Duty Professional Series: Valentini Iris Series, Model 1800, 73" Stone Burier with 'Extra Wide' Mesh Roller. Valentini H1800 73" Tractor 3-Pt, PTO Rotary Tiller: Quick Hitch Compatible, Heavy Duty 100HP Gearbox! Heavy Duty Professional Series, 73" Valentini H1800, Cat 2, 3-Point, PTO Powered Rotary Tiller - Quick Hitch Compatible! Peruzzo Heavy Duty Panther Series 2000, 79" Flail Mower with Ground Discharge Collector Hopper. SITREX QR10 High Capacity, 10 Wheel Pull Type Hay Rake - Clearance Sale Priced Display Unit! Flail Mower, Mulcher: Peruzzo Elk 2000 79" Cut, Manual Left & Right Side Offset! Heavy Duty Professional Series: Peruzzo Elk 2000, 79" Cut, with 12" Manual Left & Right Side Offset, Reversible Hitch & Feed-Through Gearbox For Rear or Front Mount Mowing!